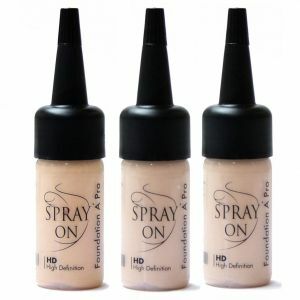 Microfine Airbrush Makeup Foundation based on silicones for the highest demands - high definition - with the high-resolution digital camera techniques for photography, film and TV. 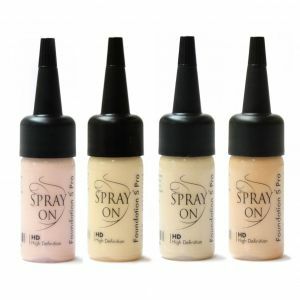 The Airbrush Make-up Foundation are optimized for the airbrush technique. They can be applied transparent or opaque. 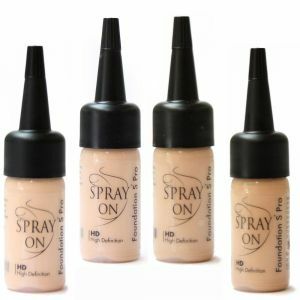 With a foundation brush make-up can also be applied to hide or corrected. Thus, a light, flawless application is also possible. 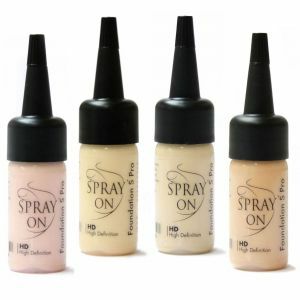 A perfect make-up that is, after drying, smudge-resistant and water repellent. 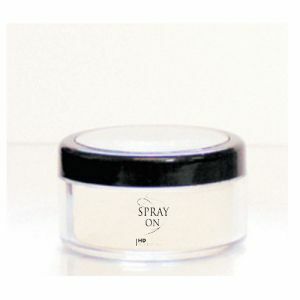 The silky-soft skin and the natural look convincing. A make-up that really holds a lot of hours. The airbrush makeup technique allows us compared to the traditional make-up application technique, the Foundation is not a color layer, but as a micro-fine mosaic applied to the skin, This is the transparency of the preserved skin - a natural appearance. 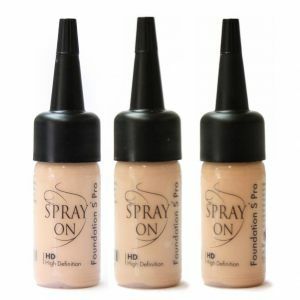 The Foundations are micronized airbrush make-up - High Definition - they are not perceptible by the human eye. Due to the high opacity, medium neutralizieren severe skin abnormalities. 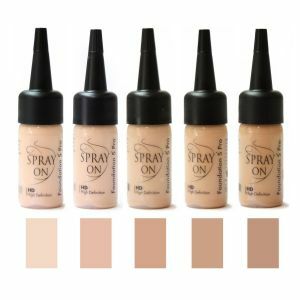 Conceal intense skin discolorations through the Neutralizer. The wafer-thin, yet reliable nationwide contract is optimal and so even with large lesions, such as vitiligo, scars, dilated veins, spider veins. 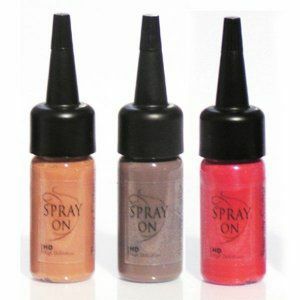 After applying the make-up `s are instantly smudge abzupudern without. Microfine Foundation and Fantasy alcohol-based inks for high durability and for the highest demands - high definition - with the high-resolution digital camera techniques for photography, film and TV. 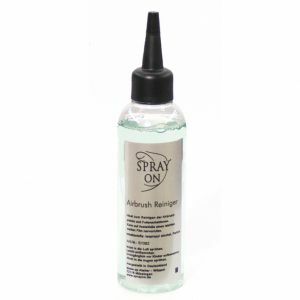 The colors are optimized for the airbrush technique. They can be applied transparent or opaque. 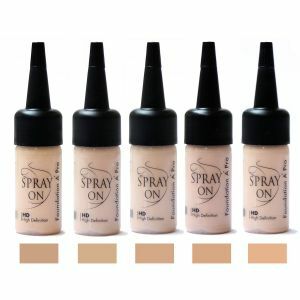 The Foundations are waterproof after application, making it ideal for use in the corresponding photo and film shoots, to cover with skin lesions and skin abnormalities, and whenever a water-resistant make-up is required. The fantasy sounds of creativity in the fashion area offers all the possibilities. 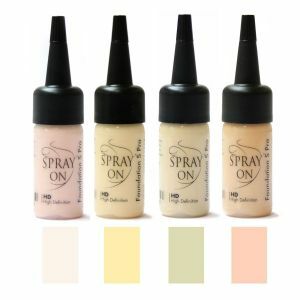 The color range offers the FX range of figures for wounds, bruises, etc., new dimensions. The colors can also be mixed with each other.